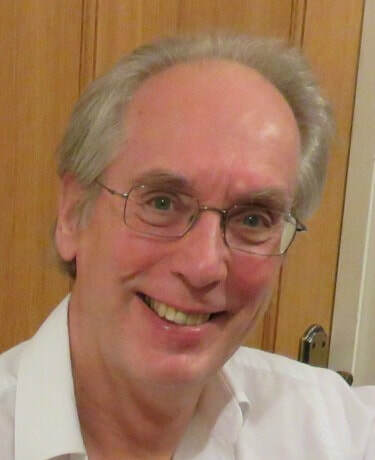 Robert writes from his home in southern England where he raised three sons with his wife Anne, who reads all his words before they reach the shelves and Kindles. He ran a management training and consultancy business for many years. Most rewarding was helping individuals to achieve professional qualifications so that they could advance their careers. Robert’s thriller ‘Vengeance of an Evil Man’ is a story of intrigue and manipulation. He feels that reading should be a roller-coaster ride – but with a blindfold so you can’t see what’s coming. His book ‘The Devil’s Charity’ is a unique fantasy that features a man in crisis and ends with a bite. But he also writes short stories. 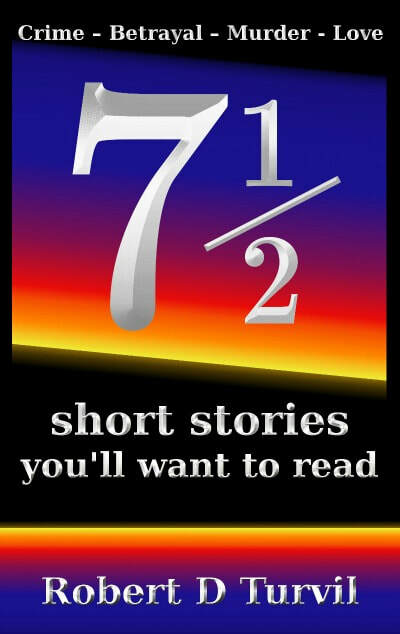 His collection entitled ‘7½ Short Stories You’ll Want to Read’ is a robust assortment of tales involving crime, betrayal, murder and love. The extra half gives readers the chance to finish the last story for themselves! He is currently writing a sequel to ‘Vengeance of an Evil Man’ as there is so much more to tell. This is the thriller you’ll never forget. You’ll be drawn into a labyrinth of ruthless manipulation – into the world of Oswald Bardolf. Set within the easily understood future, Bardolf falls prey to Lundetto, a powerful and corrupt politician. At stake is the World Presidency. Lundetto wants it and no price is too high. “Vengeance of an Evil Man” drags in the innocent and guilty; the strong and weak; the greedy and generous. All have their lives changed – some die. “Fantastic story from start to finish. Another great book from this talented writer." This fantasy is like no other. You'll go on a blindfolded roller-coaster ride. Nothing you expect ever happens, only the unexpected. The ending will leave you stunned and thoughtful. It might even change your life. And so it begins. Imagine all your memories ripped away. All you know is your name and that you're somewhere. With everyone else behaving normally, what can you do? Who can you trust? "Great bite-size stories. Fantastic characters and plots." "Every story has a great twist." "First class, entertaining and thrilling. Plenty of enticing twists. Highly recommended." 1. Ace Pratt and Skylark’s Surprise: Ace feels broken after his failed suicide but Skylark’s surprise changes his life for ever. 2. Diamonds Aren’t Forever: Why would anyone tip a bag of real diamonds into the sea? 3. Promise of Death: Derek has promised to cut out Rosalind’s treacherous heart but he’s in a secure psychiatric hospital, isn’t he? 4. Miss Baker’s Chat: Will Miss Baker see things Spencer’s way or will her chat end in a bloodbath? 5. The Door: Just what every lady wants for her birthday: an ancient door with no hinges. What! 6. Tangled Web: Bill unjustly accuses Sandra of having an affair but just who ends up dead? 7. The Responsible Citizen: With vile accusations flying, someone has to step in – enter the responsible citizen. 7½. The Night Before Christmas: It’s exactly one year since Emily’s husband left her. It’s up to you how this Christmas Eve will end for her?